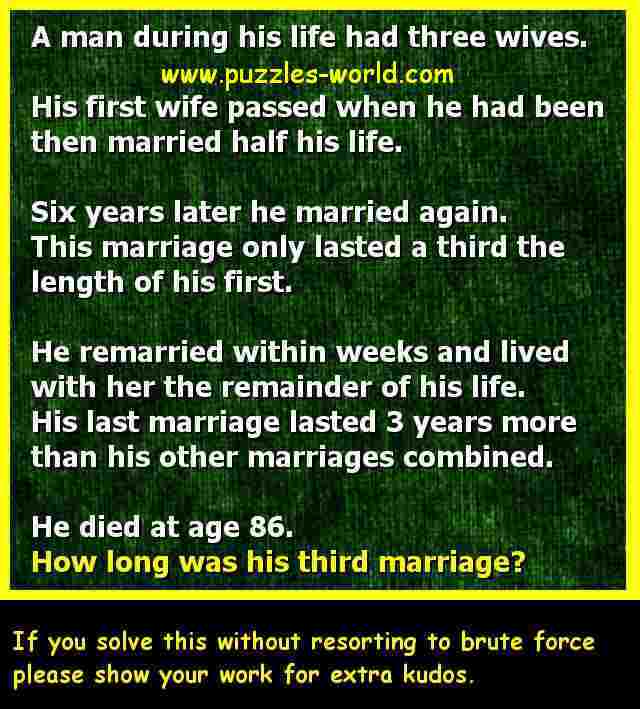 How long was his third marriage ? A man during his life had three wives. then married half his life. Six years later he married again. with her the remainder of his life. than his other marriages combined. He died at age 86.
please show your work for extra kudos.